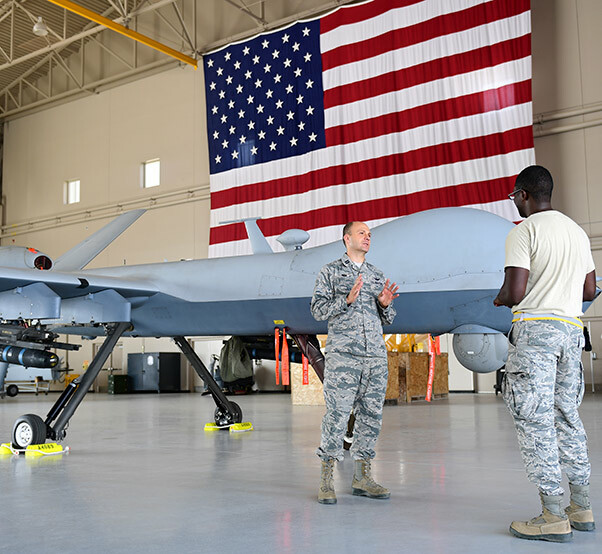 Chaplain Matthew, 432nd Wing/432nd Air Expeditionary Wing chaplain, speaks with Senior Airman Devin, 432nd Aircraft Maintenance Squadron avionics specialist, in the work center August 10, 2018, at Creech Air Force Base, Nev. Matthew spent 22 years in the U.S. Army as an infantryman, honor guardsman, and Apache helicopter pilot prior to becoming a U.S. Air Force Chaplain. He now leverages his combat experience to further help combat Airmen. 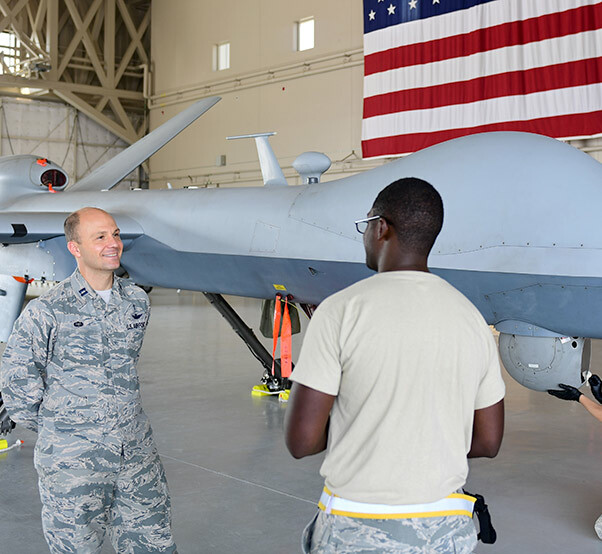 He’s chatting to Remotely Piloted Aircraft Airmen and checking up with how they’re doing, however, he’s no ordinary chaplain. 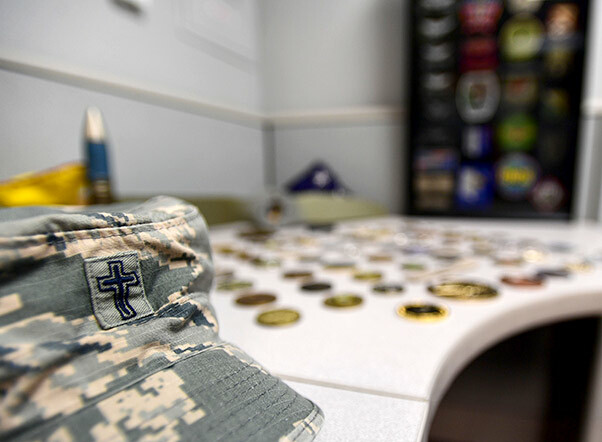 Chaplain Matthew’s hat sits alongside his military coins and patches accumulated from 22 years in the U.S. Army as an infantryman, honor guardsman, and Apache helicopter pilot prior to becoming a U.S. Air Force Chaplain. 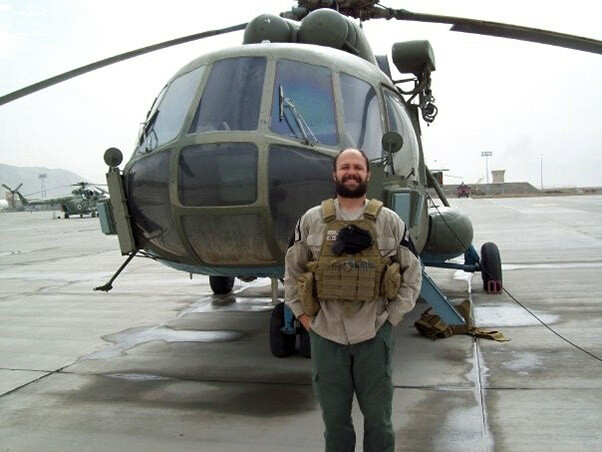 He now leverages his combat experience to further help combat Airmen at Creech Air Force Base, Nev.
Matthew, Northrop Grumman chief pilot, stands in front of his Russian Mil Mi-17 helicopter in Afghanistan in 2011. During this point in his career, Matthew also served in the U.S. Army Reserves while taking seminary classes online which would lead to his current assignment as a U.S. Air Force Chaplain at Creech Air Force Base, Nev. Confused while still chewing his Meal Ready-To-Eat, Matthew didn’t think it was possible, but the officer urged Matthew to take the chance without letting things like workload or self-doubt get in the way. 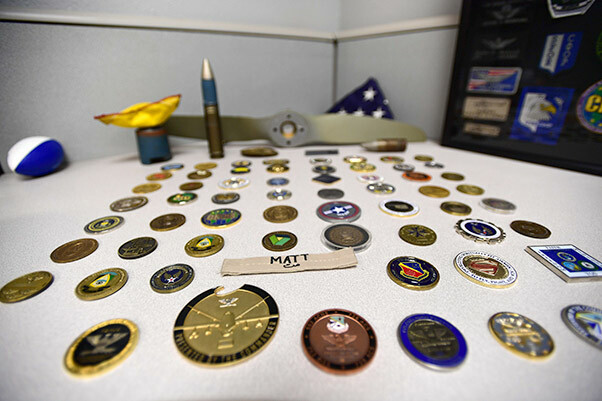 Chaplain Matthew’s coins tell a story from the early part of his 25-year career starting U.S. Army as an infantryman, honor guardsman, and Apache helicopter pilot prior to becoming a U.S. Air Force Chaplain. He now leverages his combat experience to further help combat Airmen at Creech Air Force Base, Nev.
During those years, Matthew deployed multiple times, became an aircraft commander and an instructor pilot at Fort Rucker, Ala. As time went on, Matthew continued to grow in his faith and began dedicating himself to it. As he felt his life changing with God’s word, he quit bad habits such as drinking, smoking and using profanity, finding ways to improve himself and his fellow service members. Chaplain Matthew, 432nd Wing/432nd Air Expeditionary Wing chaplain, speaks with Senior Airman Devin, 432nd Aircraft Maintenance Squadron avionics specialist, in the work center August 10, 2018, at Creech Air Force Base, Nev. Matthew began his 25-year career in the U.S. Army as an infantryman. 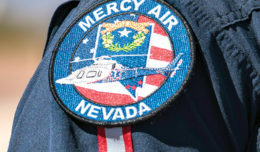 Through the years he has changed careers multiple times before becoming a U.S. Air Force Chaplain. 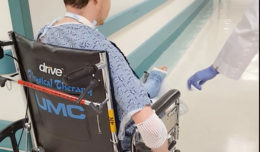 Two years after working at the position, Matthew received a call from parent company Northrop Grumman which offered him the job of chief pilot. To alleviate his conflictions of the situation, Matthew consulted the elders of the church for guidance. With their support he buckled down and made the time to finish his coursework, oftentimes at the expense of his sleep.